The vital importance of leaders engaging in their own reflective practice was at the centre of my recent talk with Jenni Hutchins, CEO of Big Fat Smile, as part of my series of interviews with CEOs about excellence in not-for-profit leadership in Australia. Jenni has been the CEO of Big Fat Smile, based in Corrimal, New South Wales, since 2017. Big Fat Smile is a not-for-profit provider of early learning and care, out of school hours care, cultural and inclusion services in NSW and the Australian Capital Territory. It comprises a network of 27 community preschools, 15 fun clubs (out of school hours care), a play cafe and a portfolio of community and inclusion programs. Their vision is to enrich the lives and minds of our children and families in their communities. A registered psychologist by training, Jenni has had extensive senior experience in the community services sector, including with The Benevolent Society, YMCA NSW, and the NSW Department of Community Services. 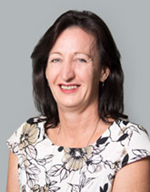 She is Co-Chair of the Early Learning and Care Council of Australia, a group of large providers who advocate and support the value of early learning and care. On issues facing the not-for-profit sector today, Jenni talked about challenges in the area of governance, the changing nature of families, and the increased role of for-profit organisations in settings which have been traditionally firmly in the not for profit space. Read other interviews on excellence in not-for-profit leadership here.